Grannys are timeless, especially as bright eyecatcher in the living room! 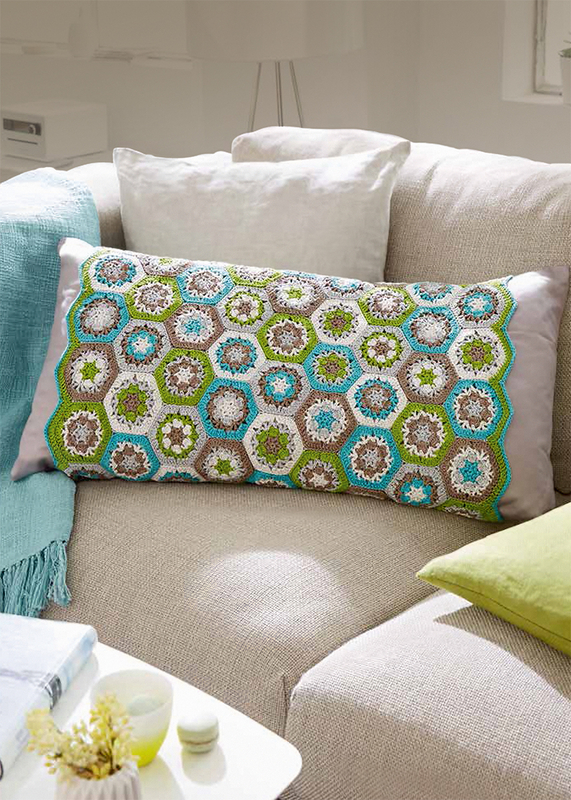 The beautiful cushion cover consists of 90 Granny Squares! The Grannys are crocheted with Catania, because of the big color range you can choose the shades for you cushion also that they match your home.